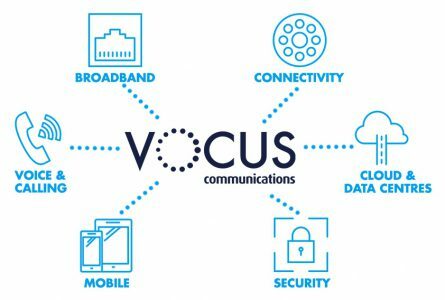 Vocus Communications manages more than 40,000km of fibre-optic cable, and delivers services and products throughout Australia & New Zealand. Vocus were designing new products and services and wanted to ensure that value was delivered to the customer throughout the engagement. Migrating from old processes to new meant learning where bottlenecks existed to deliver the customer experience they demanded. LINQ’s Information Supply Chain view enabled a full understanding of the elapsed time of the customer journey today, enabling the new process to be built around mitigating current wait time. Enabling the whole business to focus on improving tasks that delay on-boarding of the new products ensured total business required to deliver an optimal customer experience. LINQ has allowed us to recognise the true cost of wait time through our processes, mitigate that time and deliver a better service to our customers. Vocus is focused on delivering a total customer experience; from first contact, to delivering the correct service and product in the best possible time. As it re-engineers how it operates, the focus was not on digitising bad processes, but re-defining what contact with Vocus meant to provide value through the entire implementation and delivery phases. Two strategic projects include work in the Consumer, and Enterprise and Wholesale space. Vocus recognised that extended “elapsed-time” through the process, especially for on-boarding work was an area that would change the customer perspective of Vocus as a business. LINQ is being used to model the information flow of meeting strategic outcomes. Rather than taking a Business Process Modelling approach, the focus on data and information was acknowledgement that this was where insight into the bottlenecks would come from; the creation of data about the customer request and the information requested from customers and how quickly that could be returned to the business. “LINQ delivers so much more than a process map. The ability to deliver a dynamic representation of the data need of any aspect of the business, with the elapsed time of any individual task in fulfilling an order helped us to recognise where we could make improvements” said Naren Narendran, the GM of the Strategic Programme Office. The LINQ view of the information flow enabled Naren to prove to the business that current methods for interacting with the customer, including multiple ways of creating an order, to requests for more information from customers to be able to complete quotes was adding significant time to order completion. “Identifying where change would add the most value to the operation in both of our strategic projects has enabled us to build the evidence based case internally, getting the entire business moving in the same direction to deliver real value to our customers, more quickly than we would have otherwise managed to achieve” said Simon Smith, Vocus CTO. LINQ is now being rolled out to additional teams within the business, enabling Vocus to manage its on-going transformation in a competitive marketplace. Copyright © 2019 LINQ Ltd.